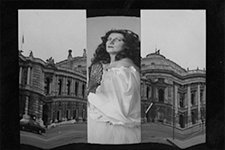 The portfolio Modern Czech Photography (Moderní česká fotografie) is a rare and powerful body of work by some of the most important mid-century Czech photographers. 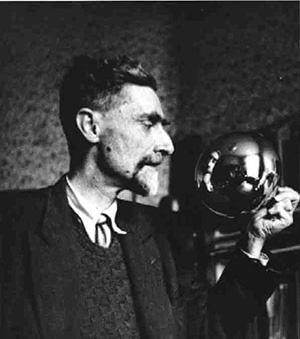 Featuring such masters as Jaromír Funke and Josef Sudek, giants in the history of modernism, the portfolio holds special historic importance because it was published in 1943, during World War II and the Nazi occupation of Czechoslovakia. The portfolio is a recent gift to MAG by the museum’s director, Jonathan Binstock, and his wife, Ann. 1932, printed no later than 1943. Gift of L. Ann and Jonathan P. Binstock in honor of Marisol and Moreton Binn. This small but powerful focus exhibition of Claude Monet’s “Waterloo Bridge” series includes the stellar example from MAG’s collection along with seven others borrowed from North American sister institutions. Monet saw the paintings both individually and as an ensemble that, collectively, expressed his sense of the essential subject—the atmosphere and colors of the fog-bound landscape of the Thames. The concurrent experience of viewing several of the series will create a special dialogue between the visitor and the works of art. An exciting aspect of this exhibition is the opportunity to work closely with conservation lab at Buffalo State University. Newly-developed photographic technologies that allow close examination of the surface of the picture will make it possible to decipher more about how Monet altered his canvases from their initial rendering in London to his obsessive reworking of the canvases upon his return to France. 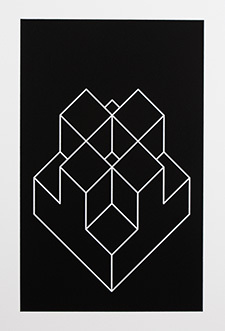 Developed as a companion to Monet’s Waterloo Bridge: Vision and Process, this exhibition features artists such as Josef Albers, Victor Vasarely, and Jesús Rafael Soto, who chose abstraction over representation to reveal the mechanics of human vision and make viewers aware of how they see. Esther Nisenthal Krinitz was 12 in 1939 when the Nazis came to her Polish village. She remembers every detail through a series of exquisitely embroidered fabric collages. 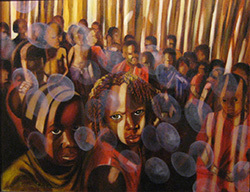 Her art is an eyewitness account of tragedy and healing. Listen in to the Rochester Jewish Film Festival interview on Connections with WXXI’s Evan Dawson. 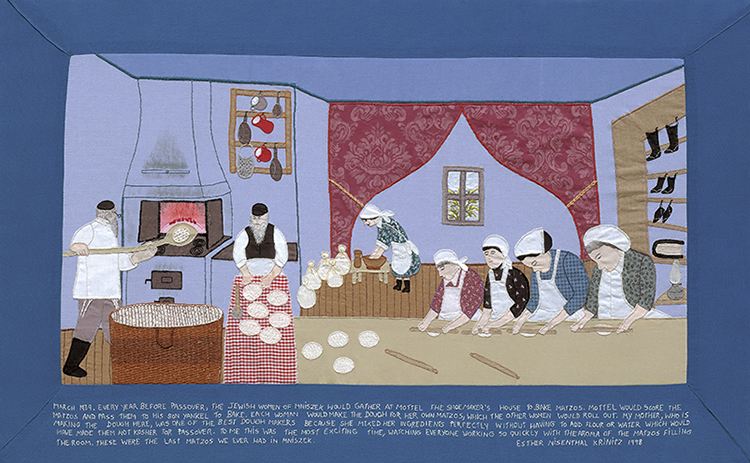 Shown: Passover Matzos, (detail) Embroidery and fabric collage, 1998. 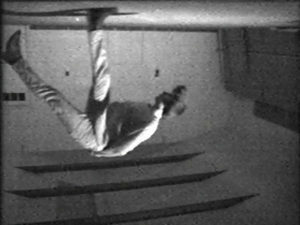 Bruce Nauman’s No, No, New Museum is an iconic work of video art from the 1980s by one of the medium’s most influential practitioners. 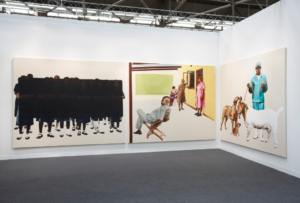 Its exhibition at MAG is made possible by a partnership with Art Bridges—arts patron Alice Walton’s effort to share outstanding works of American art with museums across the country. Josephine Tota was a first-generation Italian immigrant who spent much of her adult life working as a seamstress in Rochester. In her early seventies, she discovered painting as a means to transform a difficult past into harrowing, self-referential images. 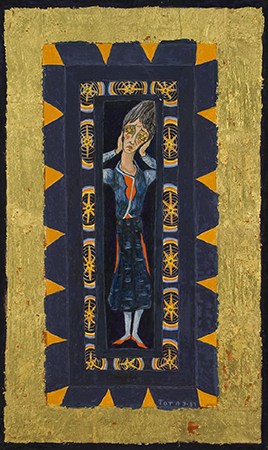 Channeling the world around and within her through the legacy of religious art and the language of Surrealism, she produced a decade’s worth of visionary images in the privacy of her home before succumbing to dementia. 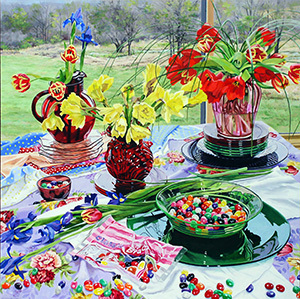 Fourteen tempera paintings from Memorial Art Gallery’s permanent collection form the core of the exhibition, augmented by approximately 70 from private lenders. A full-color catalog documents Tota’s contribution to the realm of authentic outsider art and is available for sale in THE STORE @ MAG. 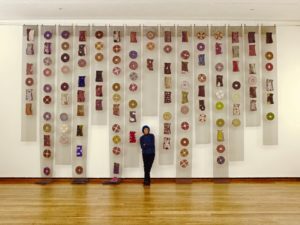 My Life Has Gotten So Busy that It Now Takes Up All of My Time is an exhibition of sculptural installations and photographs by Rochester-based artist Nancy Jurs that focuses on self-portraiture, autobiography, and personal narrative. 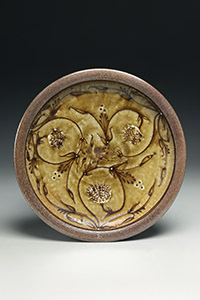 Jurs is well known as a potter who trained at Rochester Institute of Technology’s School for American Craftsmen. Less known are her sculptures and installations that employ found, unaltered objects, which evoke personages or anthropomorphic visions, and her manipulated photographs. 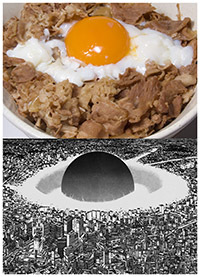 These works of art represent a surprising and compelling conceptual thread throughout Jurs’ career. This exhibition is the first to showcase the digitally crafted works of Wendell Castle, acclaimed figure of the American art furniture movement. It will feature approximately 40 works of art, including several historically important examples that inspired his latest achievements. The exhibition Kiyochika and Japan, Transformed showcases over 30 color woodblock prints by Kobayashi Kiyochika (1847-1915), who witnessed firsthand the transformation of Japan when it opened to the West after centuries of isolation. 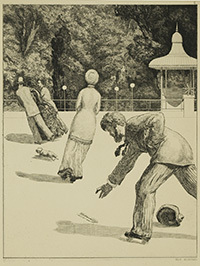 These prints, drawn from the extraordinary collections of University of Rochester alumnus Arthur R. Miller, emphasize the complexities of modern and traditional life in late-19th century Japan. Kiyochika’s work is characterized by his innovative use of light and shadow as well as his juxtapositions of subject matter, both old and new, in his rapidly changing world. 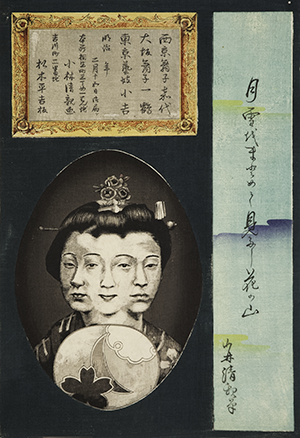 shown: Kobayashi Kiyochika, Three Geisha: Kayo of Kyoto, Hitotsuru of Osaka, and Kokichi of Tokyo c. 1878. 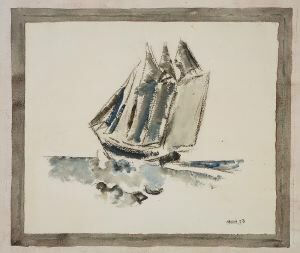 Collection of Arthur R. Miller. 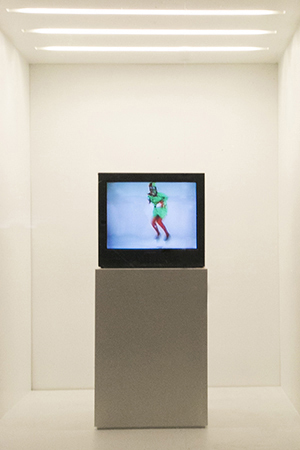 This single-channel video installation features Lady Bunny, an iconic drag performer. She speaks on politics and current events, dances and lip-syncs. She is a vivid presence, especially considering the wall-size scale of the video. 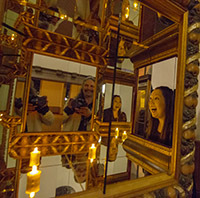 Rainforest IV is an immersive audio installation created by the Eastman Audio Research Studio (EARS) at the Eastman School of Music, under the direction of Oliver Schneller, with assistance from Allen Topolski, Associate Professor of Art at the University of Rochester. Rainforest is a sonic environment made of handmade, uniquely designed sculptural objects suspended in space and fitted with electric transducers, turning them into resonant sound objects. At this special opening event, Missy Pfohl Smith, Director of the University of Rochester’s Dance and Movement Program, Anne Harris Wilcox, and Rose Pasquarello Beauchamp will improvise a performance to which the musicians will sonically respond. 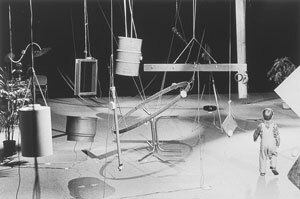 Originally conceived by sound artist and pianist David Tudor in 1973, Rainforest IV is a sonic environment made of handmade, uniquely designed sculptural objects suspended in space and fitted with electric transducers, turning them into resonant sound objects. shown: Installation of Rainforest IV (1973), L’Espace Pierre Cardin, Paris, 1976. Photograph by Ralph Jones (American, b. 1951) © 1976 Ralph Jones. All rights reserved. 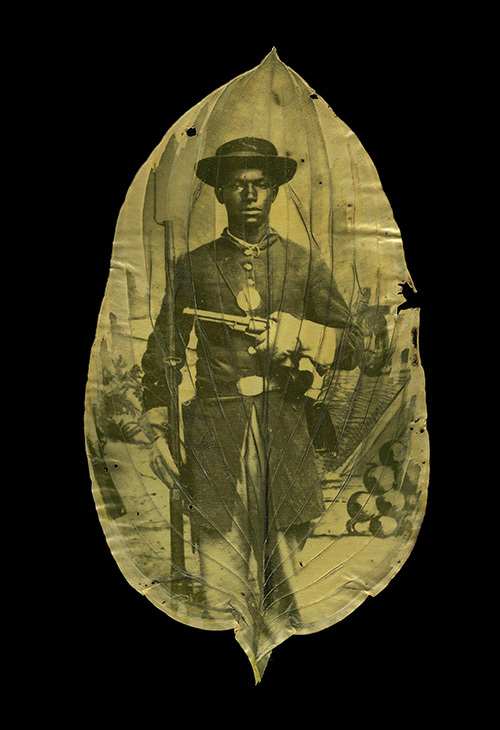 Image courtesy of Getty Research Institute, Los Angeles. Materials generously donated by Metalico Rochester. In honor of New York Women’s Suffrage Centennial in 2017, this exhibition explores the power of the female gaze in creating potent and complex images of mothers, thinkers, vixens, heroes, creators, warriors, and agitators. See six Pax Kaffraria “chapters” at MAG; one chapter at Rochester Contemporary Art Center (RoCo). Mural-sized narratives of southern African culture. 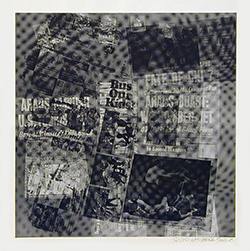 Rauschenberg responded to the rise of mass-media culture during the 1950s and 1960s, by actually making mass media his artistic medium. 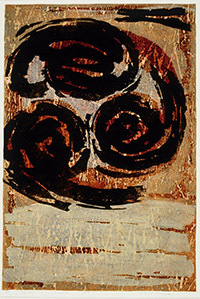 shown: Surface Series #53 (from Currents), 1970. ©Estate of Robert Rauschenberg / Licensed by VAGA, New York, NY. As Gibson’s and Recoder’s work suggests, film is not only about images, storytelling and entertainment, but also possesses mechanical, and sculptural dimensions. architectural fantasies in which stairways seem to go nowhere or to mysteriously circle back upon themselves. 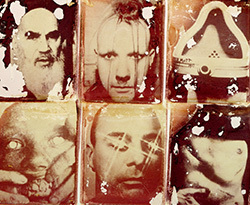 Bodies in Space was the inaugural art exhibition of MAG’s Media Arts Initiative. 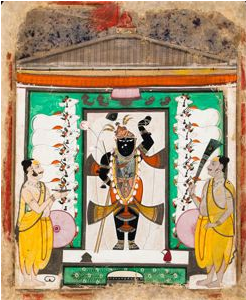 Pictured: Indian, Priests Worshipping the Image of Shri Nathaji, ca. 1820. Opaque watercolor, ink, gold, silver paint. 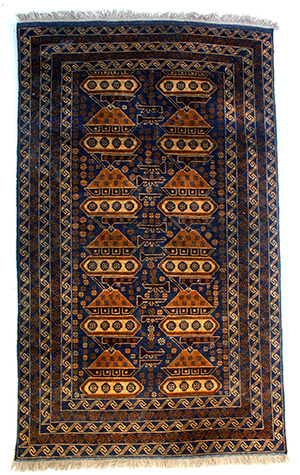 Pictured: Western Afghanistan, War Rug. Knotted wool. Pictured: Binh Danh and Robert Schultz, detail of Unidentified African American soldier with cannon backdrop. Chlorophyll print, resin. Courtesy of the artists. 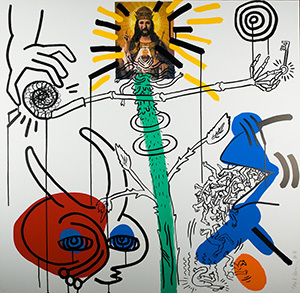 Pictured:Keith Haring, Apocalypse , 1988. 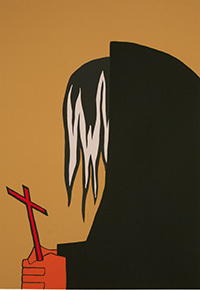 Serigraph. Gift of Sharon and Neil Norry, and Lewis Norry and Jill Katz Norry. 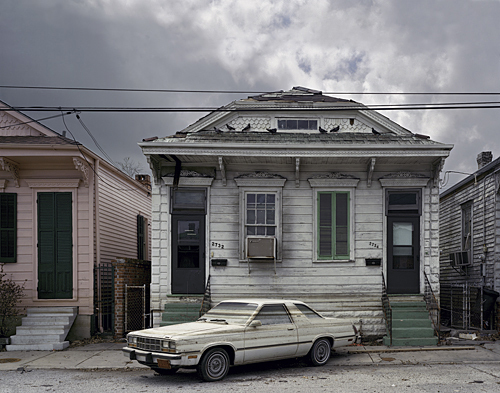 Pictured: Robert Polidori, 2732 Orleans Ave., New Orleans, LA (2005). 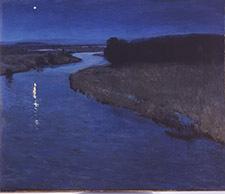 Collection of the artist. 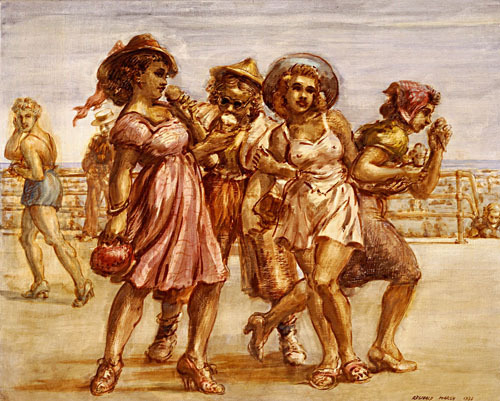 Pictured: Reginald Marsh, Ice Cream Cones (1938). Gift of a Friend of the Gallery. Pictured: Tilmann Grawe (France), cocktail dress, 2003-04. Photo courtesy Johnson Publishing Company, LLC. 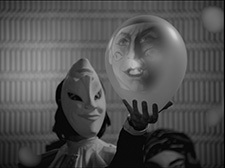 Pictured: Video still courtesy David Zwirner, NY/London. 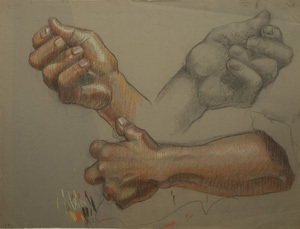 Pictured: Carl W. Peters, Study of Hands (ca. 1940). Pictured: Detail of Duchamp Codex (1980s). Polaroid transfer print. 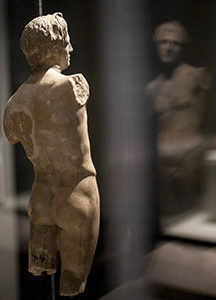 Private collection, courtesy Visual Studies Workshop. 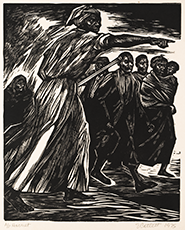 Pictured: Jacob Lawrence, After John Brown’s capture, he was put to trial for his life in Charles Town,Virginia (now West Virginia). 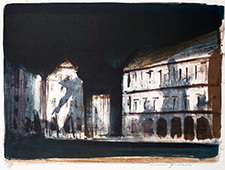 Pictured: Luciano Guarnieri, Lesser Town Square (1969). Estates of Maurice R. and Maxine B. Forman. 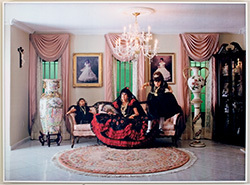 Pictured: Luis Gispert, Living Room (from Urban Myths, PT 1) (2003). C-print. Pictured: Stone Gate (2007). 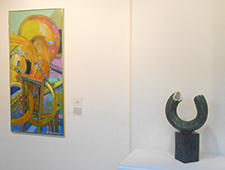 Collection of the artist. 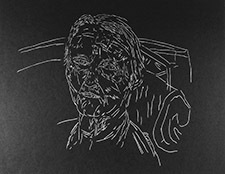 Pictured: Robert Kirschbaum, letterpress and relief print from The 42-Letter Name (2009). Gift of the artist. 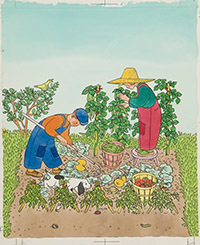 Pictured: Gertrude Elliot, Two Little Gardeners (1951). © Random House, Inc.
Pictured: Matt Elson, Infinity Box No. 2: You and Me Together (2012). Courtesy of the artist. 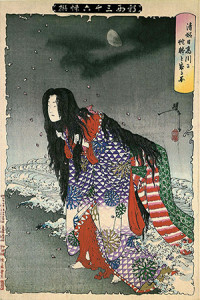 Pictured: Tsukioka Yoshitoshi, Kiyohime Changing into a Serpent at Hidaka River (1890). Pictured: Action (Handlung), from A Glove (Ein Handschuh). Knapp Fund. Pictured: Charger (2013). Collection of Dr. and Mrs. William Eby. Pictured: Eduardo Paolozzi, Llalla Pallooza… Image fades but memory lingers on. 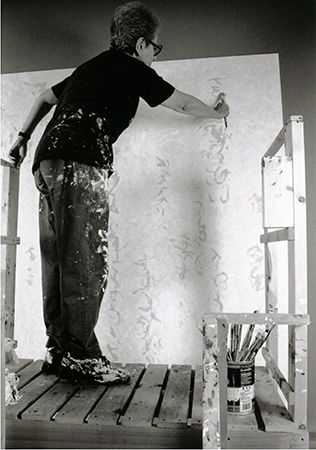 Pictured: Shunsuke Kano, B&B_06 (2008). Courtesy Ewing Gallery of Art & Architecture. Pictured: Shiro Takagi, Japanese Form (Tomoe) (1964). 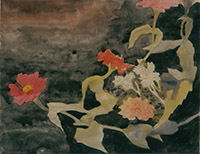 Pictured: Charles Demuth, Zinnias (1915). Gift of Gertrude Herdle Moore and Isabel C. Herdle in memory of their father, George L. Herdle. 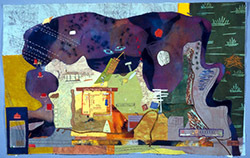 Pictured: Emily Miah Stewart, Memory Map of Joe’s Pond (2004). Private collection. Pictured: Works by Creative Workshop alumnus Daniel Lempert and former head of ceramics Alex Hazlett. Pictured: Kiki Smith, woodcut from the portfolio Mortal (2007). Gift of the Gallery Council. 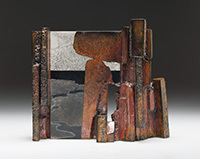 Pictured: In Transition is by Richmond Futch Jr., who got his start as a Creative Workshop student. Pictured: Winslow Homer, The Artist’s Studio in an Afternoon Fog (1894) and the new work it inspired, a bracelet by Loraine Cooley, Webster, NY.